Ever find yourself short on an ingredient when making a recipe? If so, you may want to bookmark this page from www.frugalliving.about.com as it offers up a comprehensive list of ingredient substitutions. You'll find substitutions for everything from all spice to yeast. 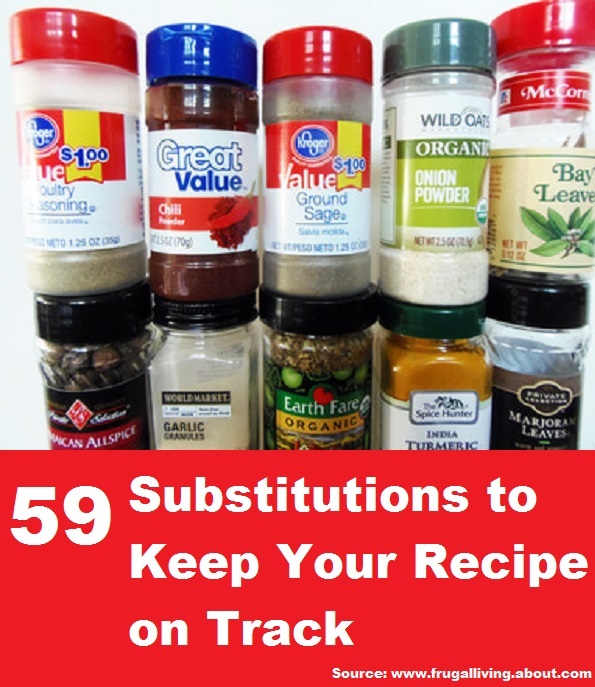 Click on the link below to discover the many wonderful substitutions that can used to create your favorite recipes.